Memories Off is a text based dating simulation/adventure series originally published on the Playstation in September 1999. 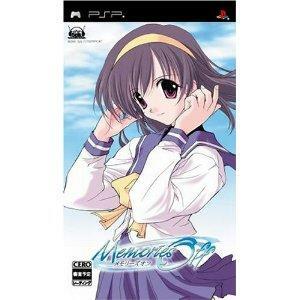 Later, due to its popularity, it is remade for several different platforms, the first to be converted for Sony PSP is the first game, called Memories off ~ Kakegae no nai omoi ... Mitsuketa (Irreplaceable memories, I've found it) illustrated by the well known Sasaki Mutsumi. The story is based on the high school life of the seventeen year old Mikami Tomoya. Tomoya has sealed away a traumatic past and it is through meeting a group of girls that he rediscovered himself and realized what he really wants, but are his new found discoveries enough to prepare him to face his past traumas?